Today’s featured pinhole photo is exploding with color. Steven Boelaars captured this wonderful image by pointing his Ondu 6×12 directly into the sun. The subject matter – the red poppies, is perfect for the effect because of the way they bleed with the flare of the sunlight. 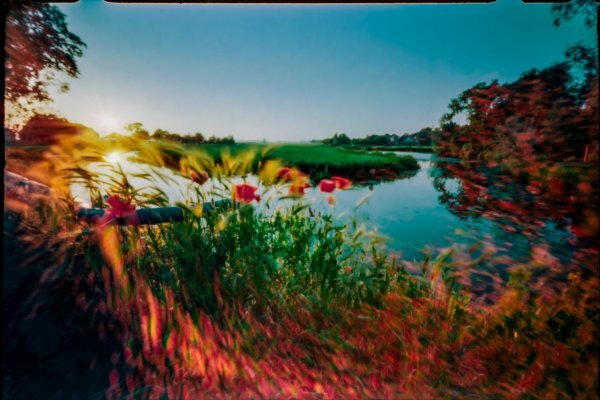 This is a common side effect of shooting a pinhole straight at the sun – without a lens to tame the sun’s rays, things stay raw and uncontrollably vibrant. More of Steven’s excellent pinhole work can be found on Flickr.